The 2017 Pac-12 season starts off right away with an important matchup. During every college football season, there are a select number of games that really shape the standings in each conference. The Pac-12 got turned upside down in 2016. Will 2017 be the same wild ride? Here are the 10 games that will decide who plays in the Pac-12 Championship Game this season. This is the first conference game in the Pac-12 the season and it might involve the best two teams in the conference. Stanford has represented the North division in three of the six Pac-12 Championship Games and USC continues to be the measuring stick on the South. Stanford has won the last three games against USC (including two wins in 2015). Can the Cardinal continue their current streak over USC and make themselves the team to beat in the Pac-12 or will USC live up their preseason hype and start the season as the big dog in the yard? This is the rematch of the 2016 Pac-12 Championship Game. Washington ran away from Colorado in that game and they will likely be favored to do the same in this match-up. This is a game that Colorado needs to win if they want to have a chance to repeat in 2016. This game will give us a great idea of which of these two teams will be up to the challenge in 2017. Stanford continues its tough early conference schedule against Josh Rosen and UCLA. UCLA needs a win here to show that they are back after a dreadful 2016. This is the conference opener for the Bruins and it’s put up or shut up for Jim Mora and the Bruins. This could be the game that ultimately decides the winner of the South division. Utah is the best team that has never been to the Pac-12 Championship Game. Kyle Whittingham’s teams are consistently good, but haven’t been great since joining the Pac-12. Is this the year that Utah breaks through? 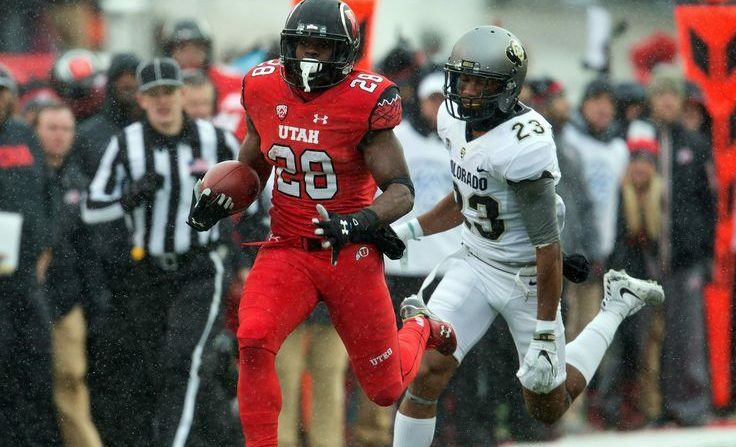 A win at USC would make Utah the team to beat in the South. From 2011 to 2015, these two teams dominated the Pac-12 North. Oregon took a big step backward in 2016 but this is still a huge game for the Pac-12. The winner of this game will be the No. 1 contender to challenge Washington in the North. Utah wraps up what should be a challenging month of October with a trip to Oregon. The Ducks will be back home after back-to-back road games against Stanford and UCLA. If the Ducks are once again proving they can fly high, they could make or break Utah’s chances at capturing the Pac-12 South Division as the schedule gets set to move to November. Oregon owned Washington. The Ducks beat the Huskies 12 straight times, but that all ended last year when Washington finally broke through with a 70-21 squash. Oregon is going to want revenge from the embarrassing loss they were handed by Washington in 2016. After a three-game win streak by UCLA in this rivalry, USC has regained control with two straight wins. USC is the popular preseason pick for the South, but funny things seem to happen in rivalry games. This game is all about bragging rights and it could also be for all the marbles in the South. A late cross-divisional game pitting two of the best teams in the conference. Both of these teams should still be in the hunt for their division titles at this point and it could be a win or go home situation for both teams. The Apple Cup is on the final week of the regular season and could have a big impact on the Pac-12 Championship Game. Washington has owned this series winning the last four and seven of the last eight. Despite the dominance the Huskies have shown, Washington State has been very underrated the last two years and could really make their mark by winning this game and creating some chaos in the Pac-12.